Take a jewelry classic to new heights. These beautifully designed hoops showcase 48 sparkling round 1/2 CT diamonds set in shared prongs. The simplistic design exudes elegance and class. These silver hoops will always accentuate your look and propel you to the next level of fashion. Secured with a clip in clasp. Delmar jewelry is in tune with trends, drawing inspiration from the global market. However, trends don’t rule the Delmar design philosophy. 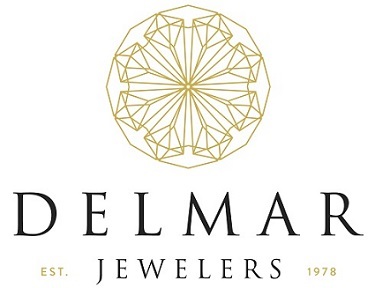 Delmar strives to create beautiful jewelry, blending the contemporary and the classic for a unique final product – as unique as the customers who wear them.